White-tailed ptarmigan are masters of camouflage, their primary defense against predators. This ptarmigan is nestled into alpine tundra wildflowers around 13,000 feet on Mount Evans, a stronghold for this climate change species. 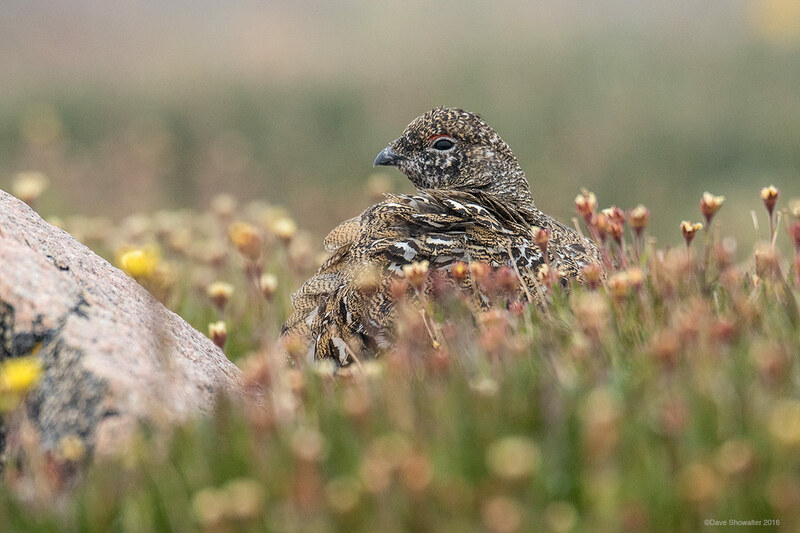 Our smallest member of the grouse family spends their entire lifecycle above timberline, thriving on willow buds through a harsh Rocky Mountain winter. Photo © copyright by Dave Showalter.